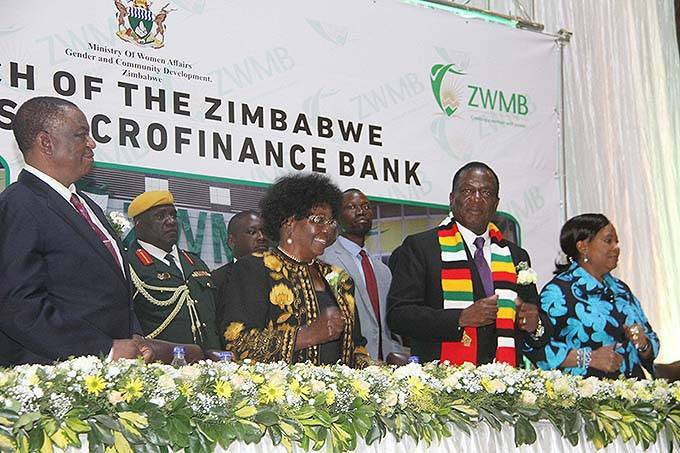 President Mnangagwa flanked by First Lady Auxillia Mnangagwa, Vice President Constantino Chiwenga and Women and Youth Affairs Minister Sithembiso Nyoni during the official opening of Zimbabwe Women’s Bank. The bank is the first of its kind in the Sadc region and it will offer loans to women, youths and other small-scale businesses. “However, as we establish banks like this one, I exhort all players in the financial service sector to make numerous efforts to restore depositors’ confidences as well as develop and offer packages that are in sync with the type of business and personal needs of our society. 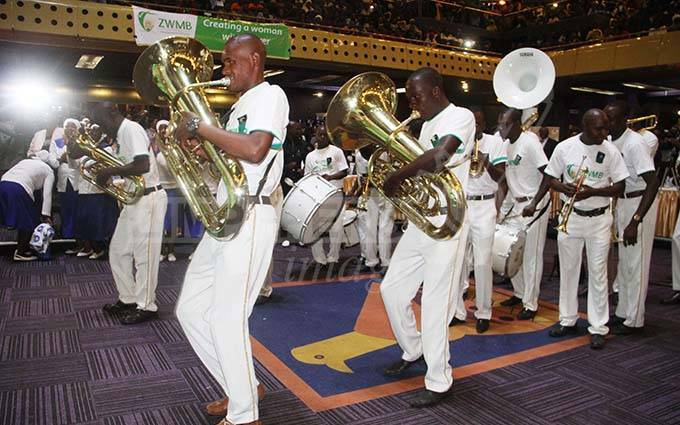 ZCC Mbungo Brass Band entertain delegates during the official opening of Zimbabwe Women Microfinance Bank in Harare on Monday. 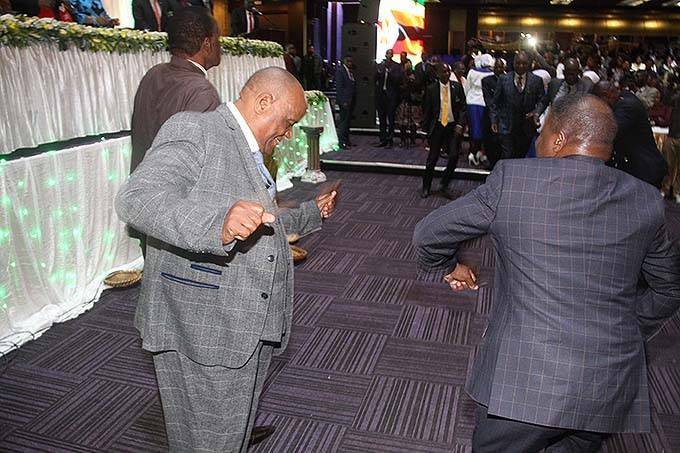 ZCC Bishop Samuel Nehemiah Mutendi (left) on the dance floor during the official opening of Zimbabwe Women Microfinance Bank in Harare yesterday.